Sega and Creative Assembly have announced today that the British development house, famous for its Total War strategy games on the PC, will be expanding to take on a number of Warhammer video games. 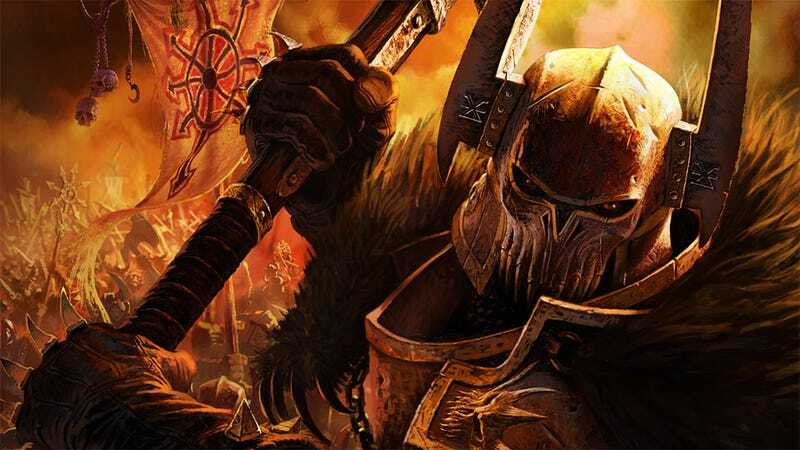 Sega says "a new high-calibre development team has been set up at Creative Assembly's UK studio to work alongside the existing Total War, Alien IP and Mobile teams on the first Warhammer title in the deal", which will apparently be out in 2013. The Total War guys won't be moving over to this; as stated, these games will be made by a new team within Creative Assembly (not the first time this has happened, obviously, given CA's branching out to the afore-mentioned an Aliens game). There's no word on what games these will be, or which platforms they're destined for. Note that these are Warhammer fantasy games; THQ still has the rights to Warhammer 40K.